Imagine being one of the only marketers on the team at a budding startup. You need to know the best practices for all sorts of campaigns: paid, content, social, email, partnerships… the list goes on. What’s more, you’re responsible for both strategy and execution (no matter how brilliant you are, there are only 24 hours in a day… and fewer if you want to, y’know, sleep). That’s a lot of hats to wear. Image source. Sound like a nightmare? Well, it was the reality for Georgiana Laudi back when Unbounce was just a baby company. Today, she is the VP of Marketing and has watched the department grow to have more than 30 employees. And while the role was surely stressful (wearing a lot of hats can make you look goofy), Gia’s hands-in-everything position taught her a lot about being a marketer and a manager. Gia: Hi, I’m Georgiana Laudi and I’m the VP Marketing at Unbounce. Dan: I believe today is actually your fourth Unniversary, as we like to say at Unbounce. So I was thinking, let’s start at the very beginning just to provide some context. 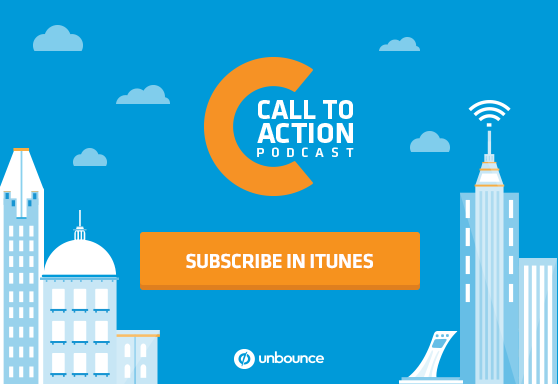 What were you doing before you started at Unbounce? Gia: I was consulting, actually. I was doing web marketing for some startups and some mid-sized businesses in Montreal. I had been doing that for about two years. I was also running a couple of tech events in the city and was pretty active in the technology community and startup community in Montreal, which helped, obviously, to sort of feed my freelance gigs and keep me very, very busy. Dan: What enticed you to move all the way across the country and join a young, fledgling startup? Gia: It’s funny because I actually didn’t think of Unbounce as that young then because I was working with a lot of startups that were significantly younger and smaller. I saw a job posting that was shared on Twitter, and the job posting was just so compelling. And I had been wanting to try Unbounce for clients for a while. I had already heard about it and was considering using it. I wasn’t using landing pages at the time. And then basically what I did was I worked from Montreal for four months before moving. So I did do a little bit of due diligence there. And then I went out to visit the office. There were only about 15 people in the office at the time and everybody there was super enthusiastic, super smart, super in love with the product. Unbounce’s customers also really sold me on joining because they were super vocal about how amazing their experience had been with both customer success and how much they loved the product. So it was just those two things combined. I felt like there was actually a ton of momentum already. And I kind of regretted not getting on board sooner, to be honest — like I was late to the party, a bit. Yeah, that was when there were 15 people and obviously, there are a lot more than that now. Dan: I guess the company was already a couple years old, though, wasn’t it? Gia: It was almost two years but they hadn’t actually –my understanding is they didn’t actually make their first hire until a year in. So many of the employees – there was an early developer, and Ryan (Engley) and Jacquelyn (Ma) were actually one of the first three employees, and they only started about six months before me. So it actually hadn’t been that long that they’d been hiring. Dan: One of the benefits of having six cofounders is they’re able to be independent for a while. Gia: For much longer, yes. Dan: There’s a story floating around about one of our cofounders driving your car across the country. Do you know what I’m getting at, here? Gia: It is true. And actually, the part of that story that you’re missing is that he actually crashed my car. I don’t even know if a lot of people know about this. It was basically – I mentioned my early-on visit to Vancouver and to HQ. And during the negotiation process of discussing whether or not I was going to join the team, I raised the big issue: all my stuff and my car are on the other side of the country. We didn’t have these hiring and relocation budgets back then so yeah, Oli basically offered to drive my car from Montreal to Vancouver. And I think just as he hit the Ontario border… did he roll it? No, I don’t think he rolled it but it spun out. Anyway, it was pretty bad and he was delayed – I was already in Vancouver. So it actually took him a month longer to get my car fixed. Dan: What? He didn’t get very far if he was just at the Ontario border. Gia: No, he had only been driving like 45 minutes. It was pretty bad. Dan: That’s funny. Well, it probably wasn’t funny at the time but it’s pretty funny now. Gia: No, it wasn’t funny. It took about a couple of weeks to be funny. It was funny to everyone shortly thereafter, but at the moment, no. It wasn’t funny at all. Dan: Fair enough. So what was it like being the first full-time, full-stack marketer on the team? Gia: Busy. Really, really busy. Like I said, when I had first visited and first met the team — everybody being so in love with what they were doing and so dedicated to what they were doing — it was just sort of par for the course that we all just worked like crazy and we loved it. So I did a lot of evenings and a lot of weekends for the first year and a half, two years. I remember it being surprising to me when people would leave the office at 5. When that started to happen, that was a moment in the history of the company. Like wow, people are going home for dinner. What a concept! Or I should say 5 or 6. But yeah, it was really intense but it was great because the stakes were really high. There was a ton of ownership. If we did really well, it directly reflected the work you were doing. If we did poorly, well, you had to own up to that, too. It was sort of this environment of learning. It was really, really cool actually, and super rewarding. The immediate results of hard work were the best reward for that. Dan: Do you remember the moment when it became clear that you needed to hire more staff? Gia: Yeah. That was sort of baked in just because of the nature of the company and how quickly we were growing. We knew that within not a very long time, we would be growing out this team. That was always sort of the plan. It was just a matter of articulating a job posting, to be honest. I think I made the first hire in marketing within nine months of joining the company. The blog was – and still is – a large percentage of the efforts being made within the marketing department were focused on the blog, and big marketing, big content stuff. What we were posting at the time was two or three times a week. I wanted to amp it up to five because what I had seen was a lot of our acquisition was largely coming from our content marketing and largely from the blog itself. So I wanted to amp it up to sort of run a test. I started doing that, Oli and myself, we went up to about five. So I started inviting a lot of contributing authors to the blog. But you know as well as I do, that is like almost more work than it does save it. So yeah, we put a job posting up and that was actually the role that Stefanie Grieser was hired for. I brought her on to help with social and the blog management. So the three of us sort of went nuts on blog. Dan: She’s now our International Marketing Manager, Stef. Gia: Yeah, exactly. Stef’s been around since the early days, too. And so has Corey because actually, Corey was hired only a few months after Stef was and that was mainly because it became so obvious that our analytics were suffering. I don’t even know that we had GA properly installed on our website. That’s how chicken-with-my-head-cut-off it was. That’s how we were operating the department: just like one campaign after the next. It was all about getting people to try Unbounce so even the foundational stuff hadn’t really happened yet. So that’s when we brought on Corey, too, to start thinking more about performance and funnel-type driven marketing. Yeah, that actually was three years ago at the end of this month. Dan: Do you remember what your vision was for how you would build out the team from there? Gia: Yeah, I remember early on looking to Moz and Rand (Fishkin), actually. The Moz blog — then SEO Moz — had a couple of posts about how to build to a marketing team and I remember one that sort of resonated with me, which was – I don’t remember what the post said, exactly. But what I got out of it was I had sort of imagined a marketing team broken into four. And so strategic partnerships and business development was a huge, huge part of our success for marketing in the marketing team at the time, as was our content marketing, as was our performance type marketing (so like funnel-focused stuff), which we were sorely lacking, like I mentioned why we hired Corey. And then also social and PR; I saw a big opportunity for that, too. And so those were going to be sort of the four pillars that I had planned to build out on. I sort of went with okay, let’s find the team leads for these four areas to build out and those were my first four hires, including yourself, Dan. Dan: Yeah. That was just a little more than two years ago. Now we have more than 30 people on our marketing team. Gia: Yeah, like 32 or something. Dan: Oh, man. When you think back to that original vision, how different does it look? Gia: So yeah, it looks very different than it did. The vision that I’m describing is super early days and now – when the company was like 30 people. Now, at like 130 people, nearly, obviously with the addition of people comes the addition of ideas. And I don’t mean just within the marketing department but the whole organization has really changed in terms of direction and recognizing different opportunities. And so actually, what we’ve recently done, actually as of just this year but it’s been in talks for obviously the past couple months. We’ve actually turned towards a more tribe approach. And what I mean by tribe is squads and chapters. I won’t get into the details of obviously how tribes work, but the organization itself made the decision a while ago that we would attempt a more tribe structure for our department. So the product team, engineering teams – obviously, it’s sort of an engineering approach, this tribe structure. And the marketing team has adopted this, as well, recently. And what we’ve done is we’ve laid it on top of our customer journey. So we now have teams dedicated to different parts of our customer journey. So as opposed to those four areas of focus that I was describing, we actually have teams dedicated to the different phases that our customer would go through when adopting our tool. Dan: Right, from awareness to evaluation to growth and expansion. Dan: What’s been the biggest challenge for you going from a full-stack marketer team of one who was intimately involved in everything from strategy to execution for pretty much all our marketing campaigns and content, to a managerial VP role? Gia: Wow, there have been a lot of challenges. The most obvious, though, is communicating that larger strategy and vision when you’re one person, really only comes down to – for instance for me it was, “Can I get Rick (Perreault) on board and can I get Oli on board?” And they were the only two founders that I really needed to get full alignment with on my strategy. Other departments too, of course but only at the highest level. I only had to worry about myself. Obviously communicating a vision and strategy to a larger and growing team becomes increasingly difficult, especially as you add new members. Because it would come out at the tactical level — it became obvious whether or not we were all on the same page or not. One of the things that’s been to my advantage is that I’m the type to provide feedback really early and often and immediately, which I think has been really useful for – I mean at the individual level. But also, because I did basically all of these jobs at some point, I have context that I think paired with relying on people’s specialties, which now the people on the team know way, way more about their individual areas than I will ever hope to know. So pairing that context — that historical context — I think is of a huge advantage now, too. Because I can sort of get into the nitty gritty with everybody as I need to and I’m super happy to back out and let people lead the way. But I have a lot of that early sort of context. So I don’t know. It’s been hard to let go but it’s been so rewarding to let go at the same time. Dan: Right. It’s got to be tricky to do sometimes to give that feedback, to be that involved and that direct with your communications at every step without coming off and feeling like a backseat driver, I would think. Gia: Yeah, for sure. Earlier days, I had a way harder time with that for sure. But when it’s a smaller team, it’s an easier process. When you’re like five or six or 10, then everybody is sort of on the same path. But as you’re out to 30 or so, everybody’s got their own goals and their own focuses so I have a way easier time now than I did. Earlier days, I was way, more intimately involved, obviously. And now, I’m super content to let people – you know, you tell me how this should be done. Everybody’s been so, so amazing and enthusiastic and self motivated that it’s been easy. Dan: One of the great advantages that I see — just to remove the fourth wall for a moment – within this new structure where I’ve also found myself in a bit more of a holistic role rather than in the weeds, is to make sure that you’re there. And we know that you’re there as a resource. Not necessarily as a bottleneck but that you have that expertise and that institutional knowledge. And I think that’s a really unique, valuable role to have within a team. Gia: Yeah, totally. I’m totally down to get into the weeds whenever needed, and totally happy to stay out of them when it’s appropriate. So it’s just removing the lockers is really satisfying, too, to be in a position where I can remove those bottlenecks or help get things out of the way so people can move forward. That’s also a really rewarding part of being in this more holistic position as opposed to execution. Dan: Do you think there’s an opportunity to keep growing within a team without giving up the full-stack marketer, have-your-hands-in-everything role, even as you get more senior? Gia: That has actually probably been my biggest struggle, I’d say. Two of my four years was exactly that. I was struggling with management track versus individual contributor track. And as a generalist, you tend to end up on the management track. Unless you’re going to specialize, that’s just sort of the natural thing you end up in. There are like the Michael Aagaards of the world, who are senior, individual contributors. They’re masters of their craft. So as a full-stack marketer, I think it’s pretty tough to end up as an individual contributor doing executional sort of work like that. As opposed to if you’re full stack and you have a wider, reaching perspective on your goals and your team’s goals, let’s say. 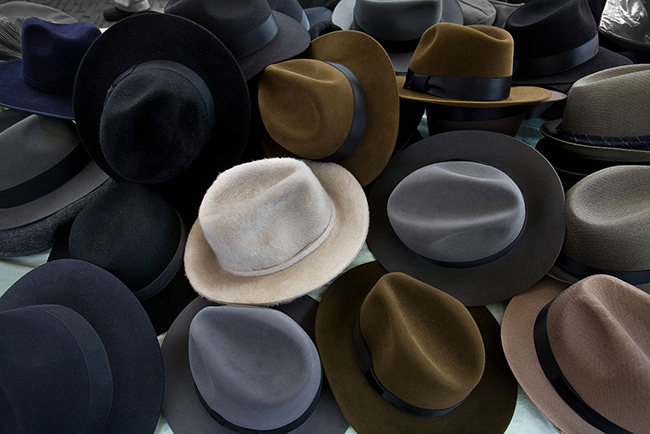 You’d have to stay on a small team and begin the type of role where you get to wear lots of hats. But as soon as you get into a department of 20, 30 people, no, you need to start hiring more of those specialists, individual contributors. That level of expertise is just required at that stage. So yeah, I think it does come down to those two different professional tracks: management versus individual contribution. Dan: At the same time, you wouldn’t want a Michael Aagaard to stop doing CRO and start managing a team. So I think to provide that path, yeah, you could keep growing your expertise, you could become more senior, your salary could evolve with you without feeling like you’re being taken away from what you’re good at. I think that’s really important. Gia: Yeah, totally. And that’s the big struggle. We’re picking on Michael Aagaard, here, but it wouldn’t be unheard of for Michael to have a team. But that’s a decision that he has to make at a certain point: am I going to focus more on the management and professional development of my team and less on the actual fun, conversion rate optimization work? That’s a decision you have to make at some point. It might be something he’s absolutely looking to do, and it might be: no, I don’t want to get into management; I’m not into the operational side of things. A lot of developers end up at this point in their professional careers and the same is true in any marketing department. So any advice for other marketing teams on how to plan for and manage a smooth transition when a senior member of the team, particularly the marketing director, goes on leave? Gia: Yeah. I was gone for eight months, and I knew that I wouldn’t be gone for the full year. And I remember these early discussions with Rick and Oli and Corey trying to distribute responsibilities. And we made a lot of mistakes, to be honest. One of which was relying on somebody within the team with their own responsibilities to take over mine, as well, with the expectation that people outside the department would lend a hand when needed. But in retrospect, that was a really bad idea because especially in a company growing as quickly as Unbounce, people are very, very busy. They’ve got their own problems to solve and depending on three people to fill in on one person’s role was a big mistake and we know that now. Advice? Now I’m in a position again where I’m trying to do sort of the same thing. One of the things that Leslie in HR has been really helpful with driving home and insisting that a very clear role is defined and that there’s a person in place to represent you in your absence. So there’s one person who is responsible for the entirety of your role and responsibilities. And so they sort of operate as your stand-in in your absence. In the absence of having somebody doing that, you run the risk of causing a lot of confusion when you return, causing a lot of confusion around where your roles and responsibilities fall when you come back. To be honest with you, we didn’t get it right necessarily the first time. I’m hoping we get closer this time. As I talk to a lot of women who have gone on maternity leave, this is a much larger issue, obviously, and I could probably do a podcast about this topic on its own. Dan: Yeah, and a company where roles change so quickly anyway. Gia: Yeah, exactly. And you’re trying to take care of your team in your absence, especially when you’re in a management role. But yeah, we do the best we can and I don’t have a ton more to add to that, to be honest. Dan: Fair enough. How do you think marketing teams could do better in empowering the women on their team to dive into family life without feeling like they’re letting their team down or compromising their career somehow? Gia: Yeah, that’s a great question. There are a lot of things organizations can do in order to make it a little bit less scary for people to exit their roles. And it’s not just women. Some men decide to go on parental leave just as often as women. I know lots of cases where the guy will leave for months at a time. It remains true; any type of leave is something to contend with and manage, particularly though when we’re talking about gender. There are some biases that have worked into the way businesses are run. And so there are a lot of things that can be done to remove those biases. Like there are standardization approaches to performance reviews. Again, this is not my area of expertise; I am not HR by any means. You’d be way better off talking to somebody like Leslie (Collin) for something like this. But I think standardizing the approach can help because it does aid in removing bias. And then yeah, what I was talking about before, making sure someone is representing you in your absence is another really important piece to it, whether you’re a guy or a girl or whatever. Gender doesn’t really come into it. It’s just anybody who is on leave — there are lots of reasons to go on leave. So having yourself represented when you’re not there I think relieves a lot of reintegration problems when you return. Dan: Right. There’s the question of reintegration but there’s also, I think, feeling confident about going on leave without feeling guilty about it. It sounds like it’s a problem when these things aren’t clearly defined ahead of time. Gia: Yeah, it’s inevitable that feeling guilty would be a problem for certain types of individuals, particularly at a company where people love their team as much as we do at Unbounce. We believe so heavily in the company and what it stands for, and the founders and our coworkers and our work that anybody leaving that environment will inevitably feel some sort of guilt for – not abandoning ship, but you know what I mean. Dan: It’s almost like a negative symptom of a really positive culture. Gia: Yeah, exactly. I can speak for myself that, yeah, it was really hard to leave. When I was on leave, I was like, yeah, nothing fell apart. Everybody’s still there and still happy and still operating, which was so amazing from the outside to look back in for those eight months and know that everything was running along. Of course it wasn’t running 100 percent smoothly, but things aren’t running 100 percent smoothly now, either. But it was really rewarding to know that everything didn’t fall apart in your absence, kind of thing. Dan: We’re glad to have you back and we have your back when you go away again, so don’t you worry. Dan: Thank you, Gia. This was great to chat.